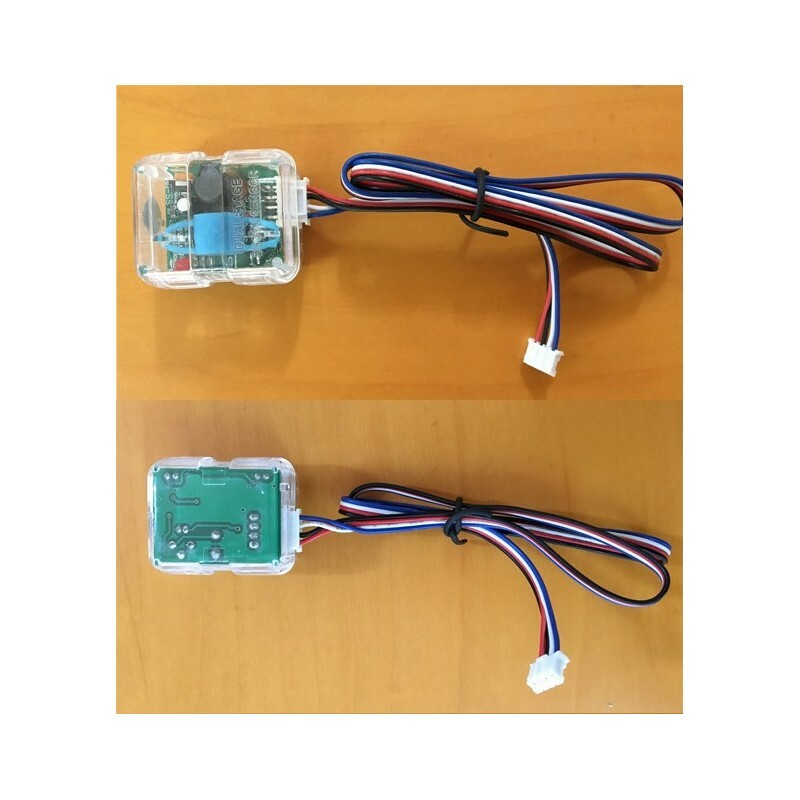 The dual stage shock sensor effectively works like two separate sensors. 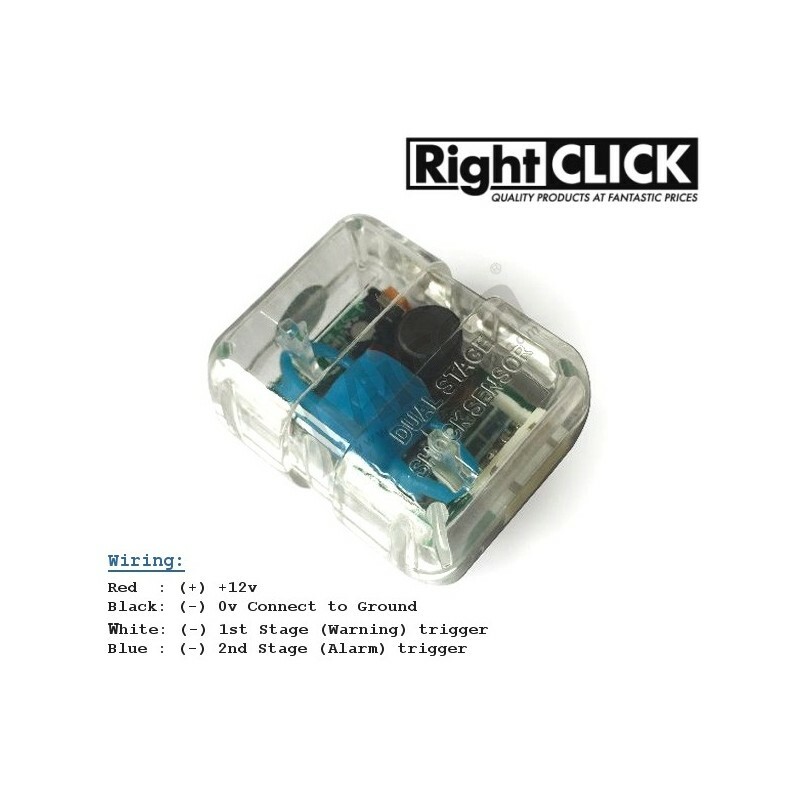 The first "stage" or "zone" is set to be more sensitive and is usually connected to the "warn off" feature found on many alarms, or a separate buzzer. 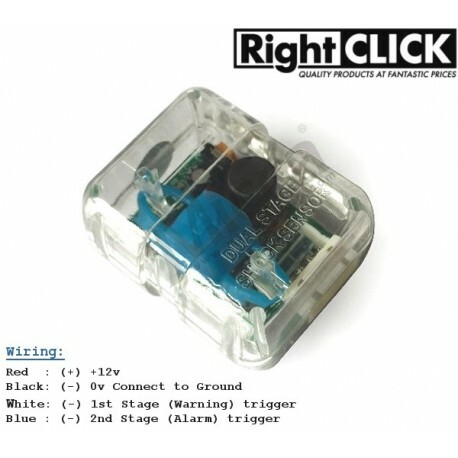 The second stage is connected to the alarms main sensor input and is then set to protect the interior of the car, triggering the the full alarm if it is activated..
Connects to alarm's Negative (-) trigger input, Unit have a 4-pin input to main system, can also be hardwired.